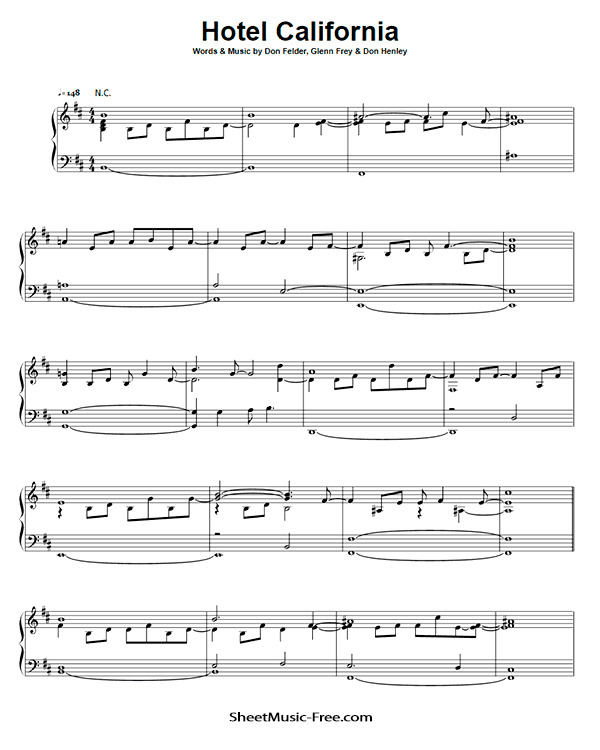 “Hotel California Piano Sheet Music” by Eagles, “Hotel California” is the title track from the Eagles’ album of the same name and was released as a single in February 1977. It is one of the band’s best-known songs. Writing credits for the song are shared by Don Felder (music), Don Henley, and Glenn Frey (lyrics). Hotel California Piano Sheet Music.